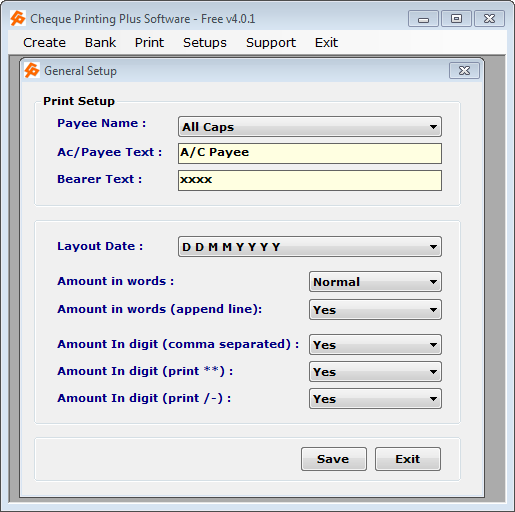 This option is used when you need to write something behind cheque. 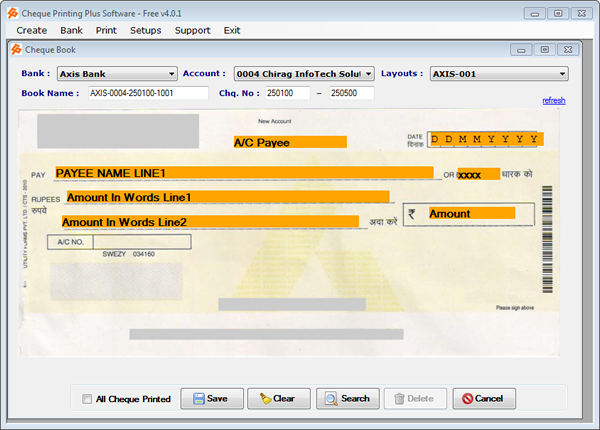 Here you can store this short note about what you write behind cheque. For this printing you must put paper in reverse. 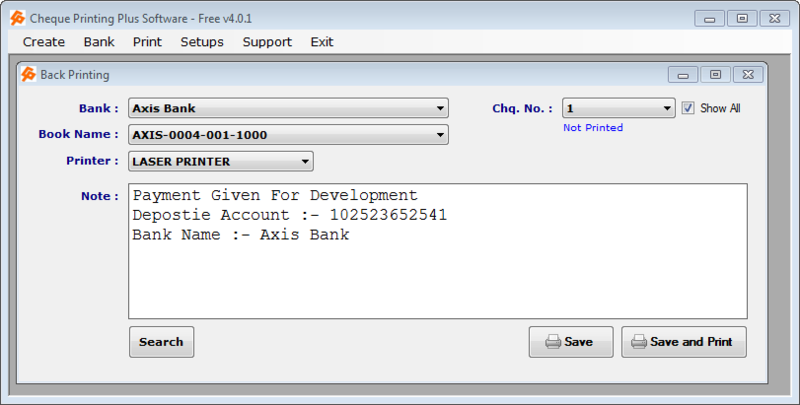 => select cheque no ( for non printed cheque number click on “SHOW ALL” . 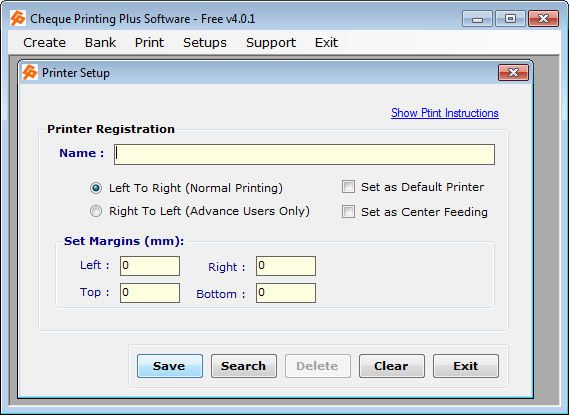 => Click on “SAVE and PRINT” for print or “SAVE” for store information. For Finding old information click on SEARCH and get old back printed information using keyword used in note.